Live, wilderness-living crabs are also fabulous and the amazing red crab migration is what put Christmas Island (CI) on the Attenborough map of world wonders. CI has about a dozen land dwellers plus hundreds more intertidal and ocean crabs. They are not for eating alas. Instead, it has become a favourite past-time to go crab-sniffing and find as many different species as I can. The red crab migration occurs every year between October to December and while that makes it hard to plan a holiday, there are several opportunities to see the land covered in a red carpet of crabs. 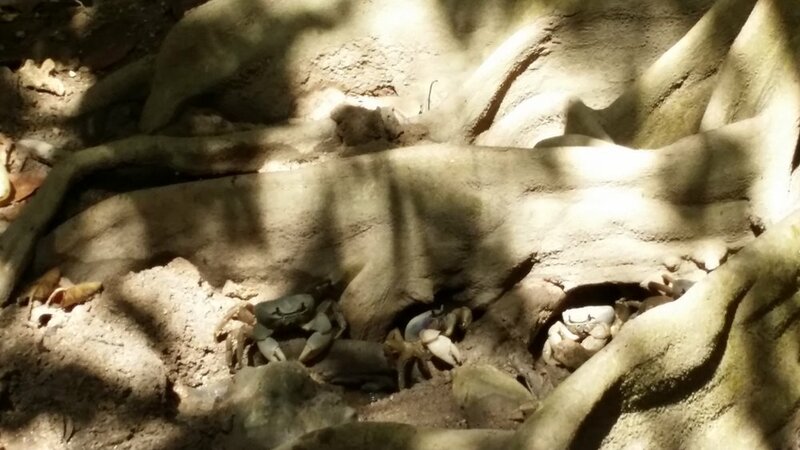 The first migration is the adult crabs moving from forest to ocean side burrows. 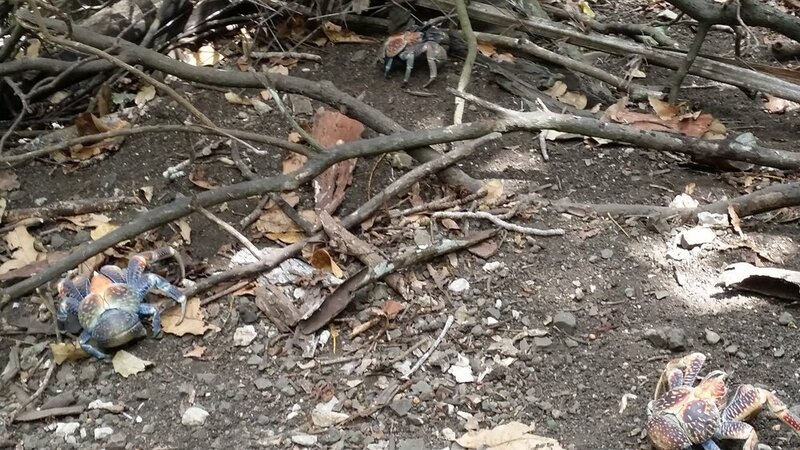 The second wave is that of male crabs returning to the forest. On a moonlit night mother crabs enter the shallow tides to release their eggs. About a month later, the final migration of tiny, translucent baby crabs swarm from ocean the forest. Their pathway is direct, so any new buildings, cars or roads are simply new obstacles they have to climb. Islands and medicine is a blog about exploring Australia as a rural GP.